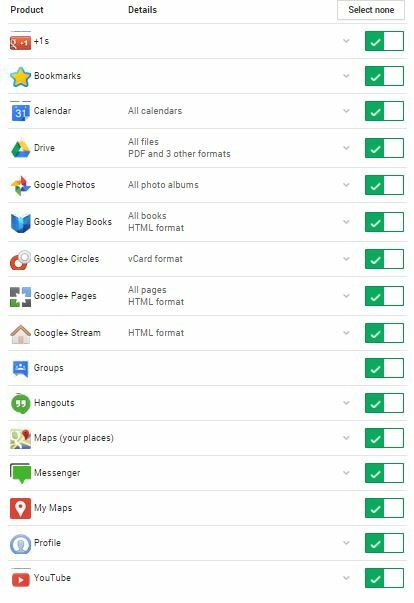 Like most people, I have documents, data and information stored in Google Drive. Like most IT people, I am concerned about backups. I find that I have backup processes in place and multiple options. I have backups of my backups. I have cloud backups and local hard drive backups and external device backups and thumb drive backups. I have backups. 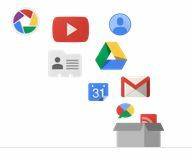 So when I think about my Google stuff… where is the backup. They have backup options for my data, photos and items that on on my devices. They offer cloud storage. But who backs up their backups? Rather than storing each user’s data on a single machine or set of machines, we distribute all data—including our own—across many computers in different locations. We then chunk and replicate the data over multiple systems to avoid a single point of failure. We randomly name these data chunks as an extra measure of security, making them unreadable to the human eye. So – they back up all the stuff they have… but what about my data? how do I back that up myself? 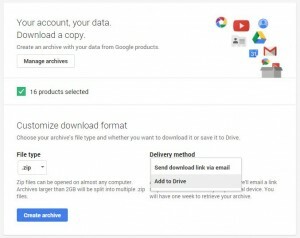 Google takeout allows you to download to a zip file that you can store on your hard drive and backup yourself. 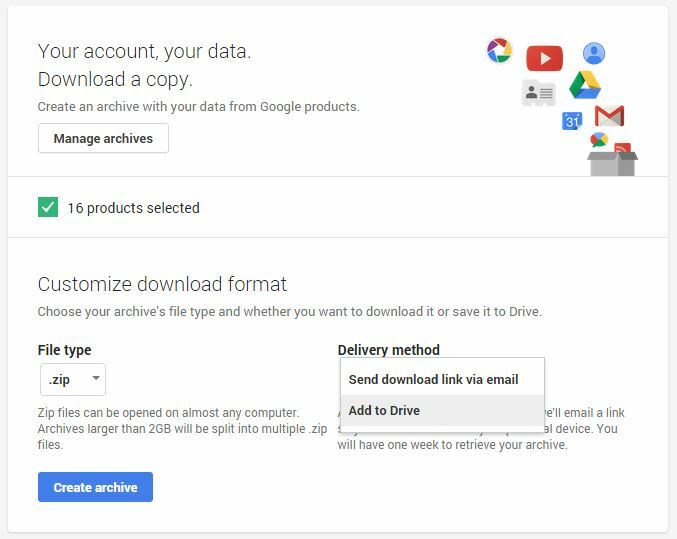 Select any options you may want in delivery – you can add it directly to Google Drive. That would not address my desire to have the data in hand, so I choose the download option. The Google data archive you started on February 24, 2015 is ready. It will be available for you to download until March 3, 2015. 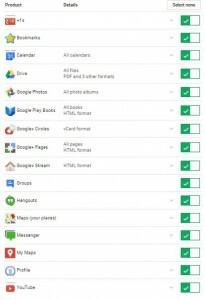 The archive contains your +1s, Bookmarks, Calendar, Drive, Google Photos, Google Play Books, Google+ Circles, Google+ Pages, Google+ Stream, Groups, Hangouts, Maps (your places), Messenger, Profile, and YouTube data. Just click on the link and get your stuff. Your download times out, so go get it prior to the expiration date. It downloads your zip and you can store it anywhere you like. Could not be easier. Give it a try! Google FAQ on this topic.